The Chatillon DMG series hand held analog dynamometer lets you objectively measure manual muscle strength and fuctional task requirements for almost any application. 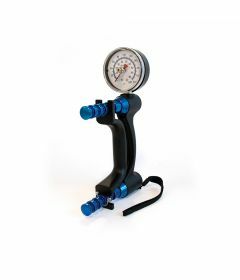 Available in 200lb and 500lb capacities, these rugged gauges accurately measure instantaneous push or pull forces generated by the test subject. A calibrated analog dial shows the instantaneous force. An easy to use peak force switch freezes the pointer at the maximum force for simple identification and analysis. 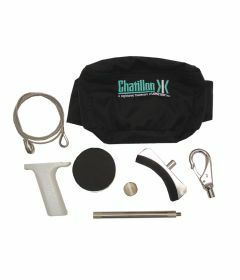 K-DMG models include all DMG Series standard features (gauge,case,handle, hook with latch, large rectangular compression plate) plus curved compression plate, small rectangular fixture,palm fixture, grasping cable, V-notch, and extension rod. 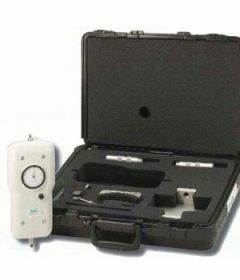 Complete selection of force gauges and manual muscle testers for physiotherapy and rehab, including the J-Tech Commander Manual Muscle Tester, Baseline Push-Pull Dynamometers, and more.